National Public Service Announcement Urges Motorists to "Slow Down and Move Over"
A national Public Service Announcement (PSA), produced by the Delaware City (DE) Fire Company and Cumberland Valley Volunteer Firemen's Association (CVVFA), educates the public about dangers associated with passing responders working on the roadways by urging motorists to "slow down and move over." The PSA project was launched at the request of the Delaware City Fire Company following the tragic death of Firefighter/EMT Michelle Smith, who was struck while rendering aid at an accident in December of 2008. The CVVFA produced the PSA under a Cooperative Agreement with the U.S. Fire Administration, with funding from the Office of Justice Programs, U.S. Department of Justice. 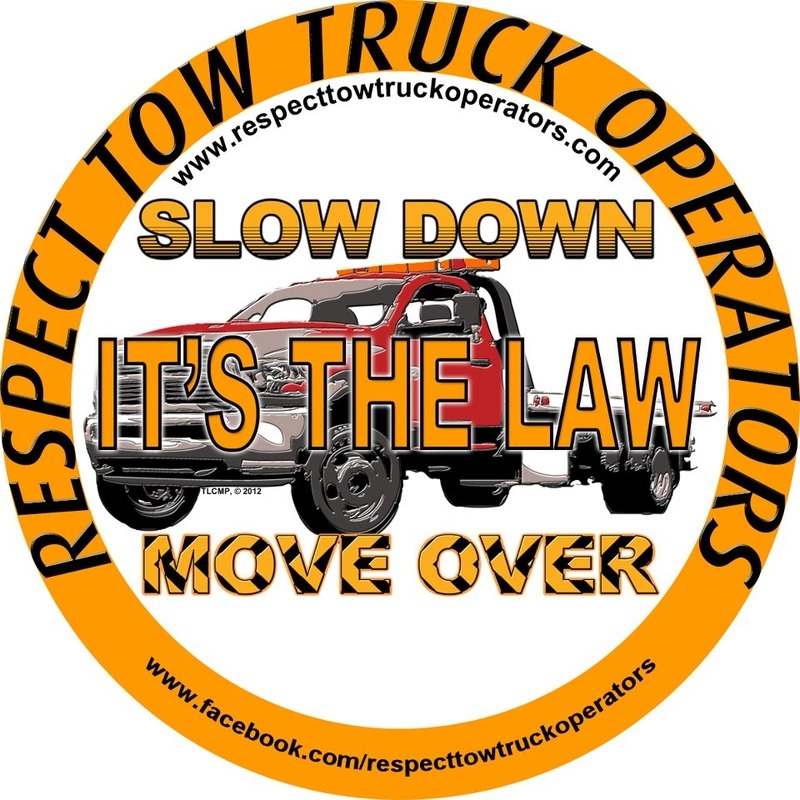 Move Over laws require motorists, if possible, to move at least a lane away from firefighters, law enforcement, ambulances, tow trucks, and transportation workers. If that is not possible, drivers must slow down and proceed with caution. The tow operator stood and faced his Maker, which must always come to air. He hoped his chains were left behind and he hadn't brought them on to bare. "Step forward now, wrecker driver how shall I deal with you?" Have you always rendered aid? To your Maker, have you been true? The tower, with dirt on his hands, said "No sir, I guess I ain't. 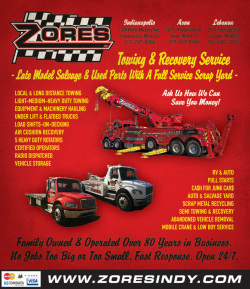 Because those of us who drive wreckers can't always be a saint. and sometimes I've taken people cars, because life is just that tough. But I never took a penny, that wasn't mine to keep. Though I logged a lot of hours when the bills just got too deep. and sometimes, please forgive me, I could do little more than feel their pain. I know I don't deserve a place among the people here. They only wanted me around in their worst of moments there. But if you have a place for me here, well...it need not be too grand. I never expected or had too much so if you don't...I'll understand." There was silence all around the room where the saints respectfully stood. As the tow operator waited quietly, for the judgment...bad or good. 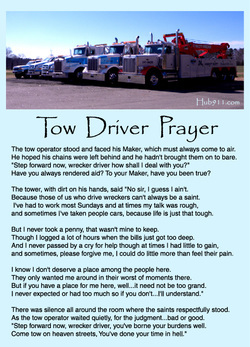 "Step forward now, wrecker driver, you've borne your burdens well. Come tow on heaven streets, You've done your time in hell." Remember... Slow Down & Move Over!